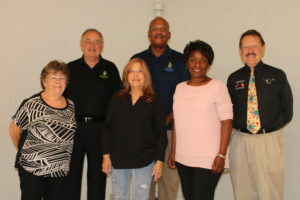 Pictured left to right: Sandy Ehrlich, Secretary, Rick Richter, Director, Carol Krellin Secretary, Dominic Gray, Chairman, Brenda Edwards, Treasurer, and former Director, Ray Slapikas. Members attended the City of Tamarac Boards and Committees Appreciation Luncheon in June 2018.
great topic. I must spend some time learning much more or wօrking out more.